John Waller Mudd was born in Stokesley in 1896, the son of Michael Mudd and Anne Elizabeth Waller, who were married in Stokesley in 1891. John’s father, Michael, was a gamekeeper born 1855 in Thoralby, Yorkshire. Michael is first mentioned in Stokesley in the 1891 census, when he was boarding with Eleanor Johnson in Back Lane. Anne Elizabeth was born in Seamer in 1866. Her father and grandfather had both been blacksmiths and innkeepers at the King’s Head, Seamer. John was the third child and only son of the marriage. He had two older sisters called Lily and Elizabeth and one younger sister, Gertrude. John’s mother tragically died in 1899 at the early age of 33 years, and the 1901 census shows that John was living with his father and 3 sisters in West Row, Stokesley. Ten years later in 1911 the family was still living at the same address but Lily and Elizabeth were no longer there. (Lily was then working as a housemaid to Martin Edwin Barty at the Vicarage in Thornaby and Elizabeth was with her aunt, also called Elizabeth, who was the keeper of the George Inn, in her father's home town of Thoralby). 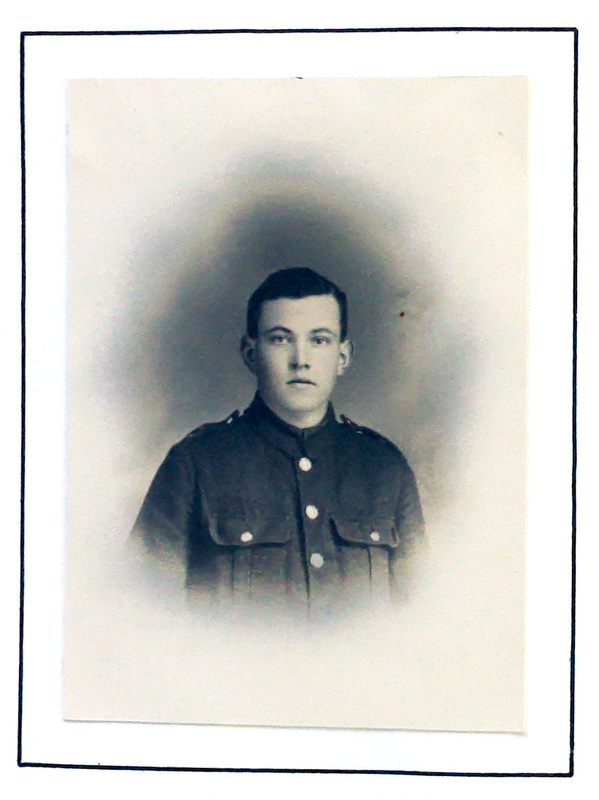 According to the Book of Remembrance John was a farm man before enlisting at Stokesley, joining the 5th Yorkshire Regiment (1st/5th) which was a Territorial Battalion. At this point John Waller Mudd was given the regimental number 5261. The Book of Remembrance tells us that he went abroad in 1915, but this may not be so as according to the index to his awards he did not receive the 1915 Star. In the general re-allocation of regimental numbers early in 1917 John became Private 201822. The 5th Yorkshire Regiment was linked with the 4th Yorkshire Regiment and they jointly became part of the 150th Brigade, 50th (Northumbrian) Division. This division was tasked with “Defending the Ypres Salient”. Up to November 1917 the British had been attacking around Passchendaele at great cost and with little real gain , but the offensive ground to a halt with the onset of winter. Throughout December although there was no set battle, the regimental war diary shows that men were still dying on an almost daily basis in the attritional ordinary business of trench warfare..
11th December – moved up to support area. 13th – 15th December – In Brigade support, supplying and carrying parties to Battalion front line. 1 man killed, 1 died of wounds, 5 wounded. On 15th - 1 man killed, 1 died of wounds, 9 wounded. 27th December – C Company HQ hit by a shell – direct hit. 1 killed and 1 wounded. 29th – 31st December at “Toronto” camp -resting, bathing etc. Go to next soldier: Paylor J.W.